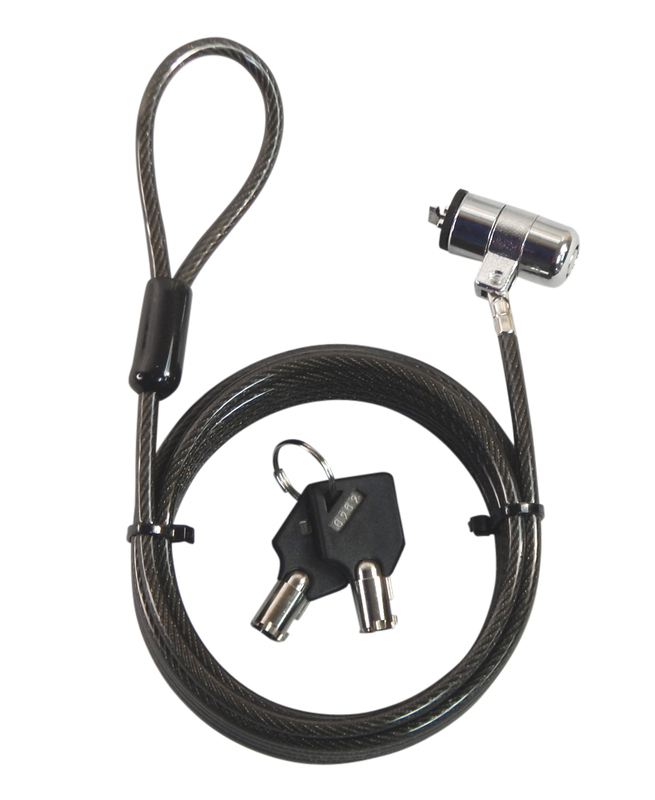 - 10 foot cable allows you to securely move a device around the room. Great for sale floors, board rooms, meatings ot other team environments! 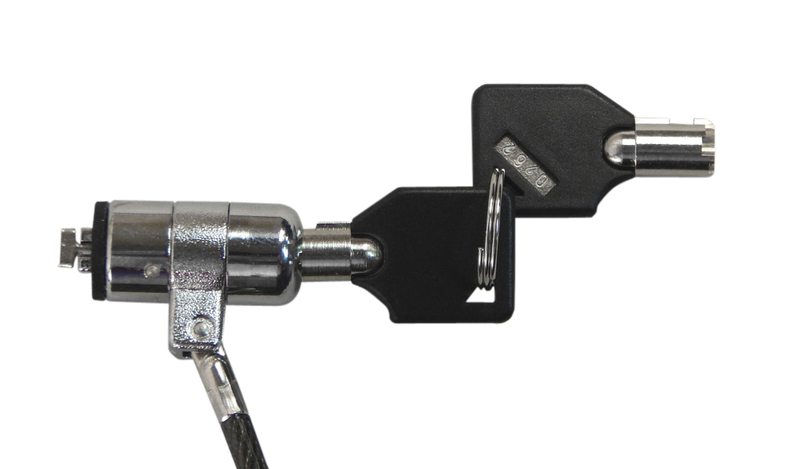 - Will lock and secure any device with a Kensington security slot. (Most notebooks, projectors, computers, monitors and screens). - Sleek design with 10 feet of cut-resistant cable. - Sendt limited one year warranty!